The residence is an Art Deco era home circa 1935 and all parties wanted to ensure that the pool integrated well with the residence and looked like it and the surrounding landscape had been there as long as the home itself. Art Deco characteristics (and the residence) were central to the design, hence why the pool has strong curved lines and is predominantly white in appearance. White colours were also chosen due to light levels The design also asked for a bespoke graduated tile design (from grey to white). The curved facets of the design required tiles to be individually laid. 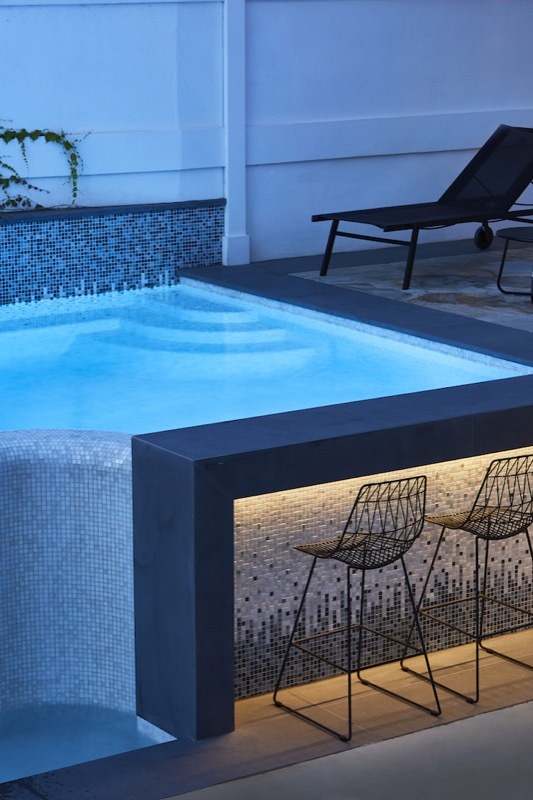 Bar areas at either end of the pool creates seamless connection between the differing levels surrounding the pool, whether you be at the house (lower) level or poolside (upper) level. The landscape surrounding the pool also considered the inspiration of the home. 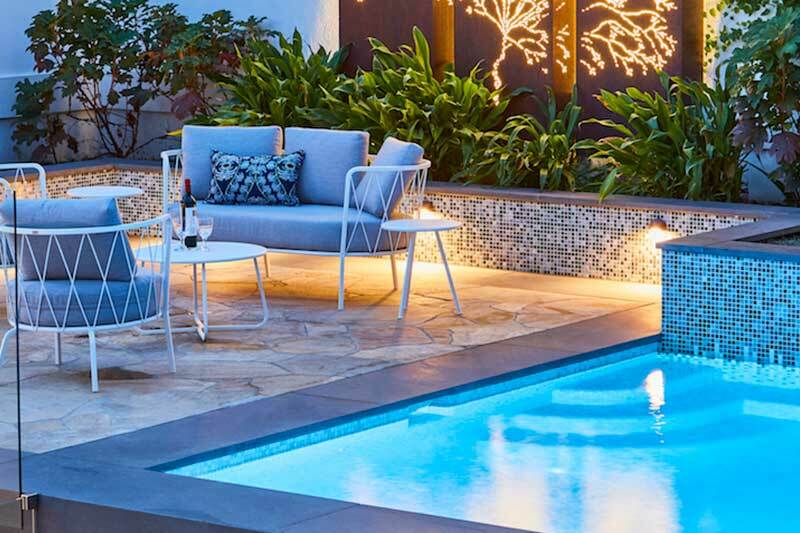 The bold retaining wall include mouldings consistent with the home, materials selection and furniture all tie back in to ensure that pool doesn’t contradict its environment and isn’t disconnected from the home.